Canadian Music Week is pleased to announce Andy Kim as the 2016 inductee to the Canadian Music Industry Hall of Fame. Andy will be honoured for his achievements and longstanding career in the music industry at the annual Canadian Music & Broadcast Industry Awards Gala Dinner in the Grand Ballroom at the Sheraton Centre on Thursday May 5, 2016. 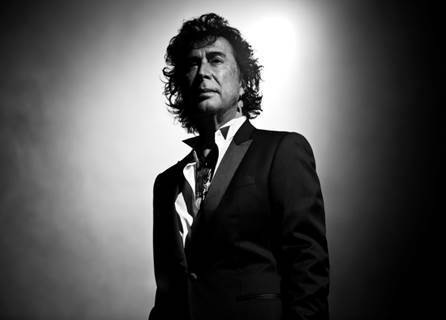 “Andy Kim’s contributions to the Canadian and international music community are truly remarkable in his 50+ year career. As a former recipient of the Indie Award for Favorite Solo Artist during Canadian Music Week, we are so proud to have him as part of the CMW alumni and are thrilled at his induction into the Hall of Fame”, says CMW President Neill Dixon. Over his epic career Andy sold over 30 million records, has had his songs covered by music history’s greats, including Wilson Pickett, Tom Jones, Ike & Tina Turner, Gladys Knight and Bob Marley and inducted into the Songwriter’s Hall of Fame. Andy returned in 2015 with his latest release ‘It’s Decided’, a collaboration with Broken Social Scene co-founder Kevin Drew. Featuring a re-working of Andy’s 1969 hit “Shoot Em Up Baby”, and contemporary songs like “Sister, OK”, which Kim performed live on David Letterman during the show’s final days, ‘It’s Decided’ marks a relevant shift in the life and times of Andy Kim, and reinforces his role as one of Canada’s great singer-songwriters. To attend the Canadian Music and Broadcast Industry Awards or for additional details, visit the Canadian Music Week website: www.cmw.net.